Every training run, race, and honestly, every day is a struggle. I know a day will come that I will no longer be able to run” said Jenni in a heartbreaking confession. Jenni is one of more than 1.6 million Americans living with Crohn’s disease. It’s a disorder that attacks the digestive tract. “You’re immune system thinks your own body is bad and it attacks itself.” said Jenni. It’s a way of explain the disorder to people who may not fully understand the scope of just what people like her have to go through every day. 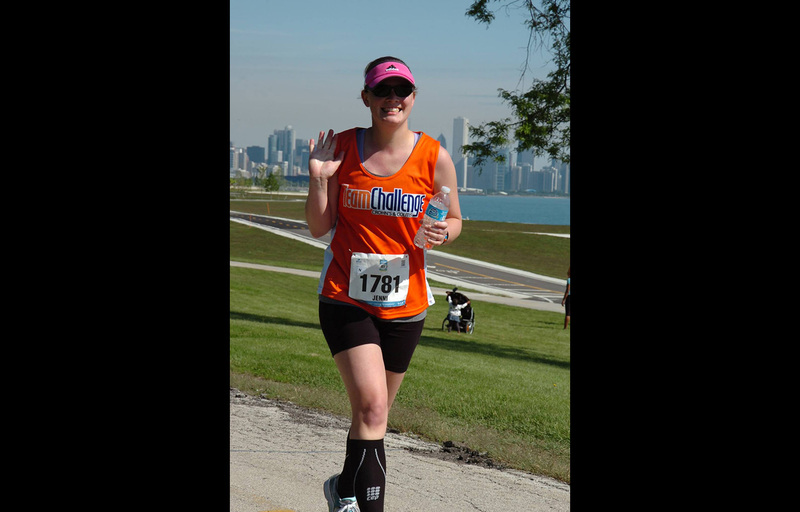 “In November of 2009 after lots of testing I was diagnosed…I tried and failed over five medications to control my disease.” Running out of options and hope for a healthier life, Jenni fought for peace for 4 years. Finally in 2012, Jenni began taking an IV drug that started to work. Not a bad bug to get bit by. Now Jenni and her husband travel around the U.S. checking off states while continuing to battle Crohn’s. But the travel and training comes a new pain, arthritis brought on by the disorder. In the mean time, my husband and I continue to travel, run, and see places we never would have thought to visit… o date we have raised over $20,000 to help support research and education programs. From the South Padre Island Marathon Family, we’ll see you at the finish line.